Back to School | Where to Score Totally Classy & Savvy Backpacks That Will up Your OOTD! 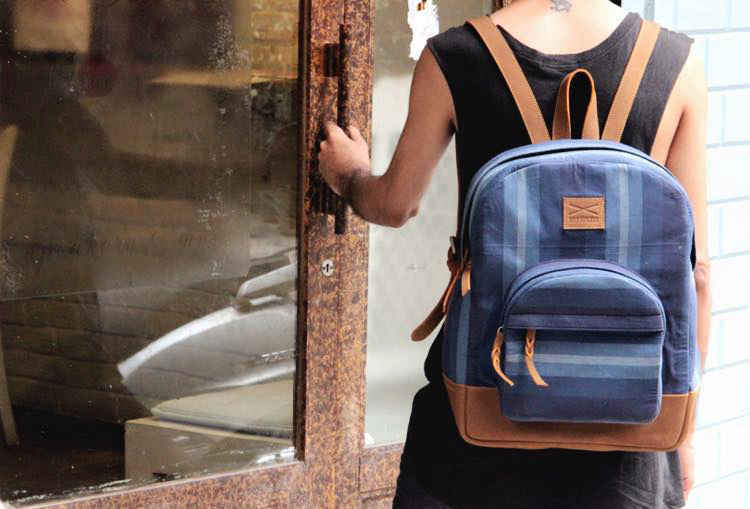 Gone are the days when backpacks were donned only by the students. They have now taken over the real fashion realm for all the right reasons; their ability to carry a bevy of necessities, to amp up our OOTD, not to mention being super comfy and easy to carry. Going with the new rage, we’re here to introduce you to some of the most stupendous places to pick up backpacks - read on! Blending the contemporary sensibilities of fashion with the quintessential traditional designs, Nappa Dori curates the classiest of backpacks. They make sure to handcraft and embellish their bags with perfection. Offering the best quality leather, stupendous designs and sober color combinations, their bags merrily redefine ‘love at first sight’. Go see them for yourselves! Breaking the monotony of the uppity brand culture, Brandless brings to its connoisseurs the most stupendous accessories without any brand name attached. Specialising in leather bags, they orchestrate sassy backpacks that will certainly make for a fabulous statement accessory. 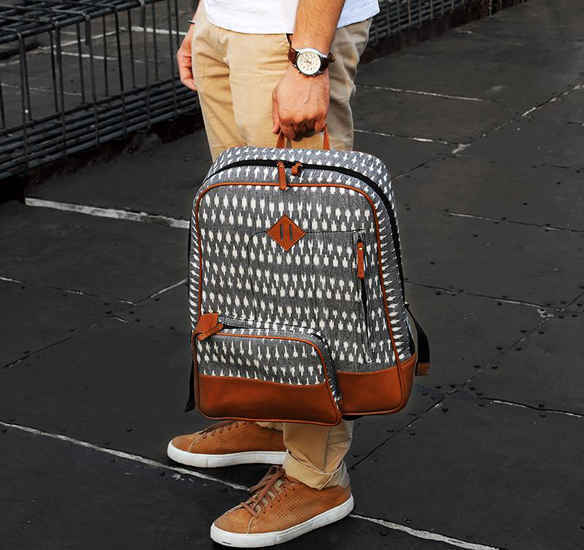 High on quality, easy to carry and a real organiser, their backpacks are pure gold! A leather haven, Baroque provides their patrons the best of leather accessories. Effortlessly crafting bags with contemporary designs, they offer a range of accessories like gym bags, travel kits, duffel bags, backpacks and lots more! Their backpacks are the kind that you can literally use with all kinds of looks; a classy office look or a comfy casual look and the like. Go see! 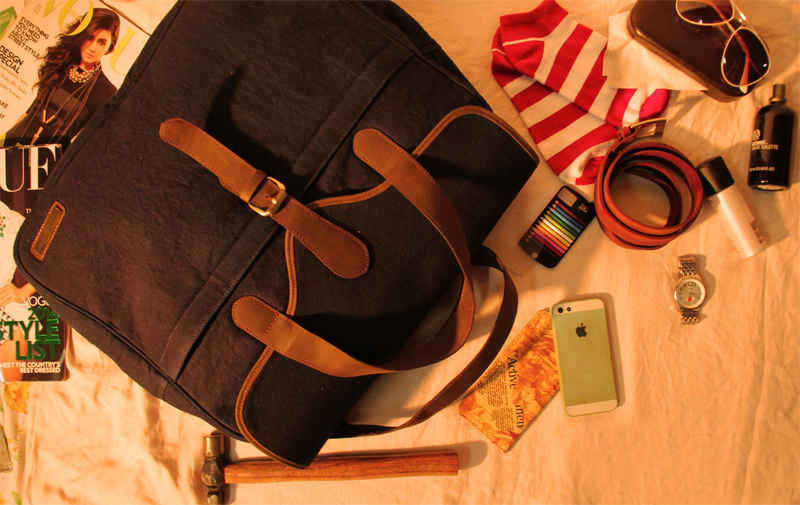 Punctuating accessories with their own individual design and style, Cords’ bags are a wardrobe must have for sure! From amazing prints on canvas to durable, prime quality leather, they use it all to keep their patrons happy. Offering a myriad of bags, their range of classy bags are bound to render you spoilt for choice. So go get your hands on them! How can Chumbak stay away when talking of all things offbeat and quirky? Having created their own realm, they fabricate the funkiest of bags. Their backpacks are punctuated with the brightest of colors and the funkiest of graphics that are bound to liven up your look! 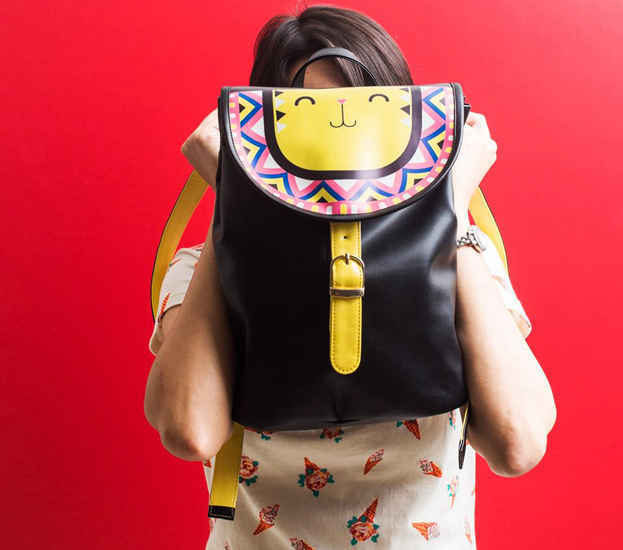 So the next time when you want to add some color to your otherwise dull and mundane outfit, go for Chumbak backpacks! On a journey delving deep into craftsmanship and design, Four Horsemen is all about bespoke accessories. From leather bags to jackets, they use superior-quality leather and offer some awesome, highly customized products. Their backpacks are one of a kind as they are made to perfection and will last a lifetime (no, really!). Get one of them and you’ll be set for years! Providing an eye-pleasing medley of home products and accessories, Dastakari Collections by Preeti Suri brings to its patrons a handpicked collection of prime fabrics and everyday essentials. 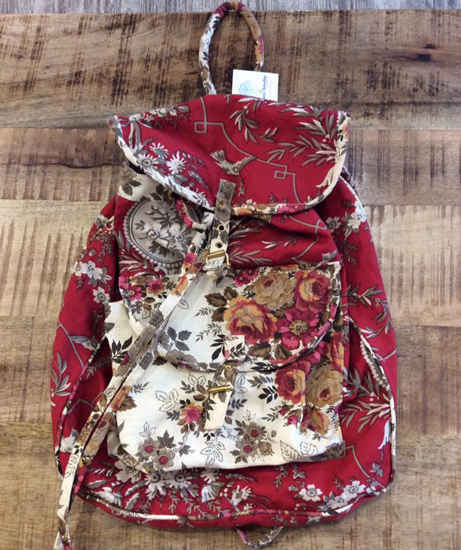 Their backpacks are made of durable and soft fabrics and are perfect for the summer or when you just want to add a dash of character to your look! 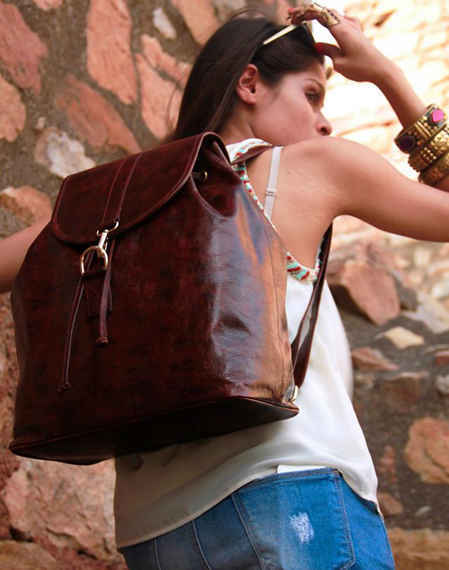 Fabricating leather bags and accessories, Muffa’s products are handmade by expert, highly-skilled artisans. They have on offer an array of leather bags, bespoke bags, corporate bags and travel bags at your disposal. 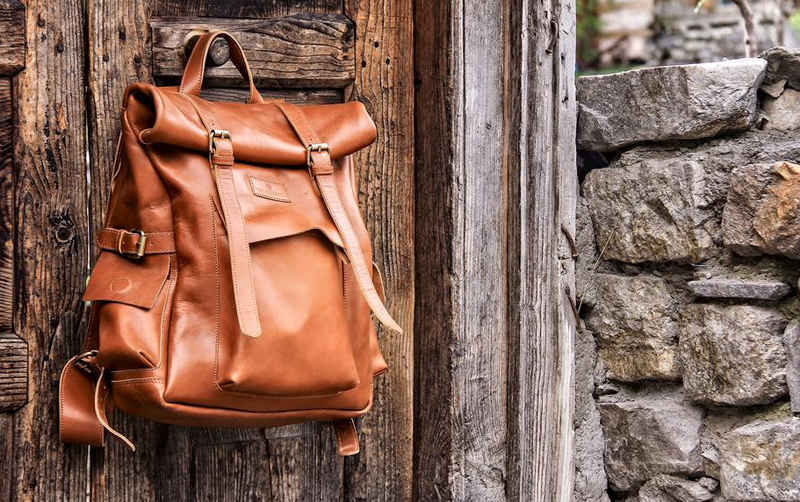 A savvy and sophisticated collection, their backpacks are to die for. Go discover, for they are bound to bowl you over!